Owners who are questioning when a dog should be put down will often hear veterinarians discuss quality of life. Quality of life is all about making the pet comfortable. Owners and veterinarians, therefore, can assess together how the quality of life of a dog can be increased, courtesy of medications and lots of tender, loving care. When quality of life is poor, euthanasia is often considered. Euthanasia comes from the Greek language which means a ''good death." A good death is, therefore, something to be considered when a dog's life appears to become too distressing and intolerable. This humane and peaceful procedure is the best option in this scenario. While a veterinarian may give some opinions of when a dog should be euthanized, it really ultimately comes down to the owner to make the decision. Only owners know their dogs best and, therefore, only they can make this informed decision. Veterinarians and veterinarian staff may direct people towards options, but it ultimately is the dog owner's decision. This still remains one of the most difficult decisions a dog owner may have to face. The most common feelings affecting dog owners considering euthanasia is fear, insecurity anger and guilt. Fear takes place because it is humane to fear the loss of loved ones, indeed, the death of a dog is one of the most distressing situations owners may face. Insecurity takes place because dogs, having been spared from the capacity of talking, must rely on dog owners to be their main decision makers. And guilt, perhaps because in a corner of a mind of every dog owner there is always space for hope that the dog will miraculously get better. To help owners out, many veterinarians have a quality of life scale, so dog owners can rationally assess their dog's personal situation. This scale can help dog owners make decisions or at least open up a discussion with their vet to see if more can be done. 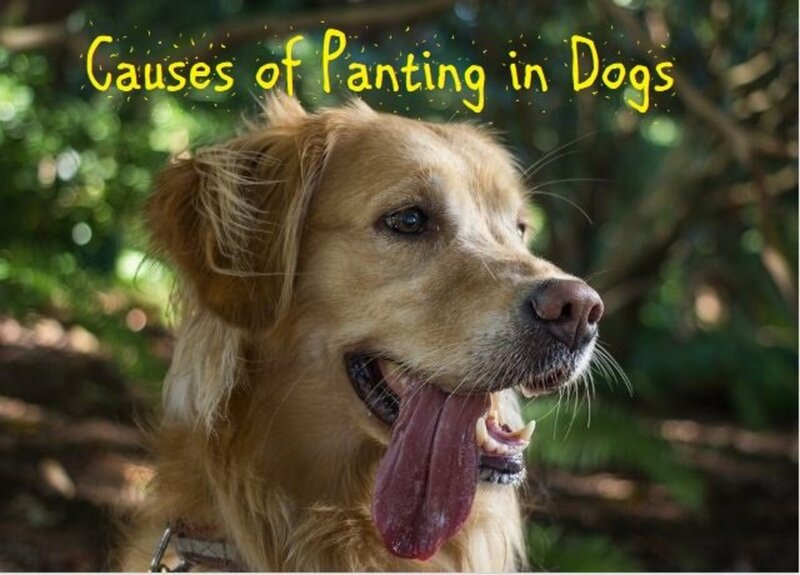 Pain: Is your dog in obvious pain? Has he been benefiting from pain relievers? Does she have trouble breathing? Pain is one of the main considerations when assessing the quality of life of an animal. While there are many effective pain relievers, at times, they may not be sufficient, or the side effects may outweigh the benefits. Appetite: Eating is essential for life and dogs that have lost appetite need to receive nutrition. How well is your dog eating? Does he need to be force fed? Can he eat on his own? There are some medications that may increase appetite such as steroids and some foods made for dogs that need extra nutrition (Hill's A/D, Nutrical) In severe cases, a stomach tube may be inserted. Thirst: A dog needs water more than food, so adequate hydration is crucial. Is your dog drinking enough? If you lift up the skin over the shoulders in a tent, does it spring back quickly or does it take time or worse remain lifted? Fluids injected under the skin may help be a great way to supplement water. Some dog owners may learn how to give fluids at home. Hygiene: Is your dog's coat dull and smelly? Is the coat matted? Is your dog's mobility affected so much that he lies on its waste after elimination? 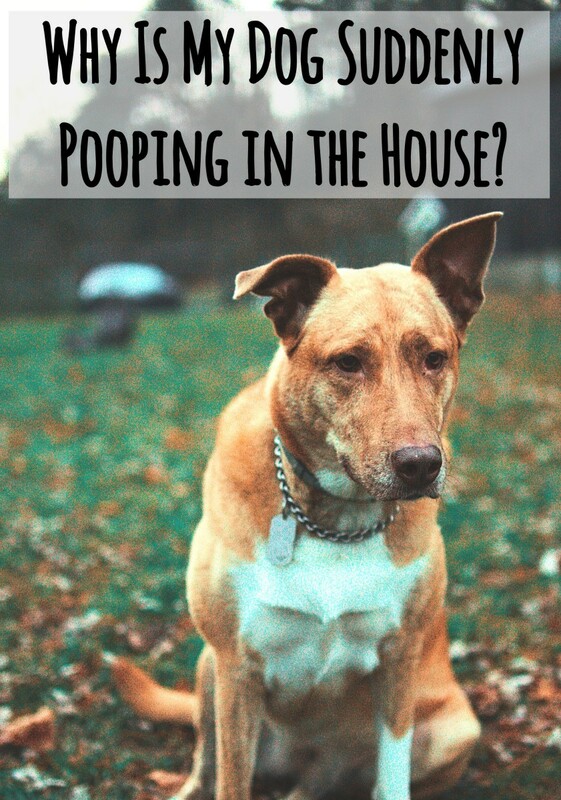 Can your dog control its bladder and bowel functions? 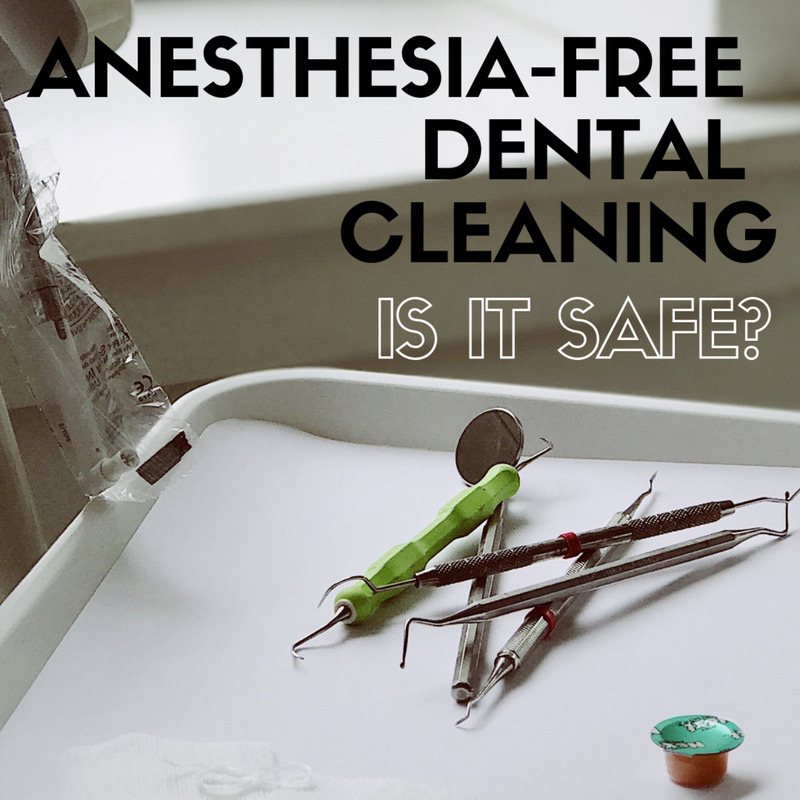 A lack of hygiene is often seen in sick, debilitated pets and this can significantly affect quality of life. Joy of Life: How happy is your dog? Does he still walk? Does she still enjoy time with you? Is he still interacting with your family? Look for signs of joy and general happiness related with enjoying life.Dogs that appear depressed, lonely, anxious or fearful may be in pain or have started to give up on life. Mobility: Dogs rely on their legs a lot. Unlike humans, dog cannot live using a wheelchair or a cane. In nature, dogs that have loss their mobility eventually die. Questions to ask are: ''How much can my dog get around? Is his mobility affected by seizures or other nervous system disorders? Can she get up to relieve herself? Dogs that have painful joints may be helped out with medications. A sling, harness or cart may be helpful in some circumstances. Being Bright and Alert: One of the most common things veterinarians look at when they assess the level of health in an animal is how bright and alert the animal is to its surrounding. Indeed, a dog that is withdrawn and lethargic is not a dog feeling well. 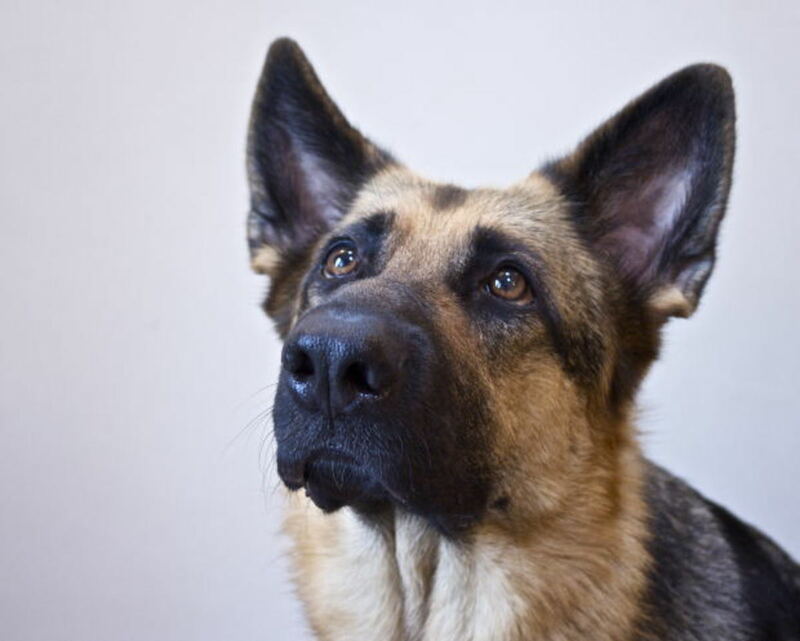 Signs of brightness and alertness includes response to noises, lifting up the head, ear movements, tail wags etc. Assessing Days: This is one of the most important considerations to keep in mind. Is my dog having more good days than bad? Marking on a calendar how your dog feels each day may be helpful. A bad day of course is characterized by the dog suffering, either from lethargy, weakness, diarrhea, vomiting or simply pain. Good days are when your dog responds to you, is alert and active, demonstrating a general willingness to enjoy life. This is just an example of a typical quality of life scale. One of the first most interesting and thorough quality of life scales was crafted by Dr. Villalobos a veterinarian in order to help dog owners and veterinarians to come to a decision or at least a discussion and thoughts. HHHHHMM stands for Hurt, Hunger, Hydration, Hygiene, Mobility and 'More Good Days than Bad''. Lap of Love offers a free quality of life chart that can be printed and filled out. Another interesting method for determining quality of life entails have two jars of the same size and labeling one with the words "bad days" and one with the words "good days." Dog owners can fill the jar with a penny each day for a week in the appropriate jar based on how the dog is doing. When the jar of bad days outnumbers the good, then it may be time for a talk with the vet to discuss quality of life. Other owner smay rather mark their calendars using a smile for good days and a frown for bad days. Keeping a journal may be helpful considering that dog owners can look back and see how many changes have taken place and how they are affecting the dog. In the midst of several uncertainties, there are not many things in life as certain as death. And when our beloved dog's time comes close, as much as we would want to postpone death and keep our loyal friend with us, it is unfortunate than eventually, that dreaded time will come. With quality of life in mind, most owners can make the best decision for their dogs. Koda, our thirteen-year-old Bernese cross, has been struggling to stand and has pooped while lying down because he cannot get up. He can no longer enjoy walks unless it is only four or five houses down the street. He also splays about and needs to be lifted to stand. He is on high dose prednisone and tramadol for pain. He lost his brother three months ago. Some days he seems happy and will lick us and be interactive, but other days he sleeps all day and doesn't even lift his head when we come in. Is it time to put him down? I think it would be important knowing what is causing these episodes of not being able to stand so to understand better what may be going on. Is it from arthritis? A cancer in the spleen causing weakness? A back injury? I think a consultation with the vet may be insightful so to know if there are any options to make him more comfortable. Some dogs may need a blanket under them to help them get up and walk. It sounds like he has still some almost good days mixed with some bad ones. A lot also depends on how much time you have during the day to help him. For example, a dog may have a low quality of life if the owners are out all day at work and nobody can help turn them and get up to potty causing bed sores and poor hygiene and risks for urine scalding. My 16 year old Shitzu/Maltese is deaf, can’t see very well due to cataracts and her right hip buckles under her. She has a very difficult time walking and needs help to stand while eating and drinking. She also has accidents in the house and will lay in it because she can’t stand up. Is it time to put her down? Deciding whether to put a dog down is a personal decision and often depends on several factors. For instance, in a dog with mobility problems, it's important that the owner is always home so that the dog can be carried outside to potty or to go on a pee pad to avoid complications such as urine scald or infections. Eating and drinking may still be possible with the dog laying down in a sternal recumbency position but requires assistance from owners.If the dog is laying down in the same position for a long time, the dog will need to be turned every 2-4 hours to prevent sores and aching muscles. 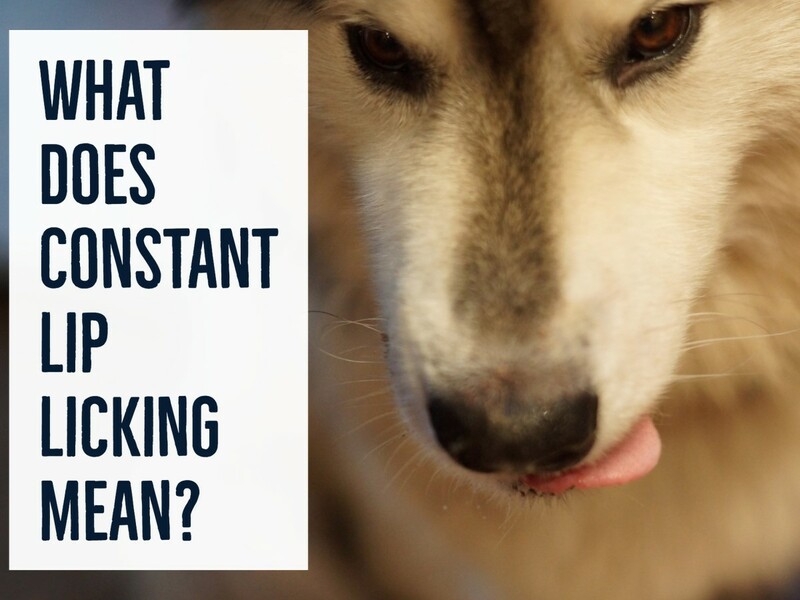 It's therefore important to factor in whether the dog can be given this level of care around the clock, but it's also important to watch the dog's demeanor. Is the dog still enjoying food? Being pet? Car rides? All these considerations are important and so is the help of a vet who can assess whether there is anything left to do to ameliorate quality of life. Our dog has had general good health up until now, except for a few" fatty " lumps on his body. But over the last week, he has lost his appetite and his back legs seem a bit weaker. He also has heavy shallow breathing. He is twelve-years-old. Is it time to put him down? This is difficult to answer because there may be several conditions that may cause the symptoms you are seeing, and they may be managed. I would suggest a quality of life evaluation with the help of your vet. Get some bloodwork done and see what your vet finds. The heavy, shallow breathing sounds concerning, but sometimes dogs may breathe this way from pain, and sometimes it can be due to heart abnormalities, problems with the lungs and many other conditions. Is he not eating completely or will he eat only people foods or treats? Many dogs stop to eat when they are starting to die as they no longer have needs for calories. I am keeping you in my thoughts. When will I know that it's time to put my seventeen-year-old dog down? So sorry you are going through this. It's a very personal choice, and as a dog owner, you know your dog best. As a general rule of thumb, vets say it's generally the time when there are more bad days than good, and the dog doesn't show signs of enjoying the things he used to do (eating, being pet, going out in the yard to sniff, etc.) So basically, when the dog is no longer comfortable. We think our 12-year-old schnauzer mix male is deaf. He's miserable and raw from allergies that are only eased temporarily. He's irritable and cranky. All he does anymore is lick and sleep. Is it time to put him down? Allergies can be effectively controlled if given the appropriate treatment. I would suggest consulting with a veterinary dermatologist to get to the bottom of your dog's skin issues. 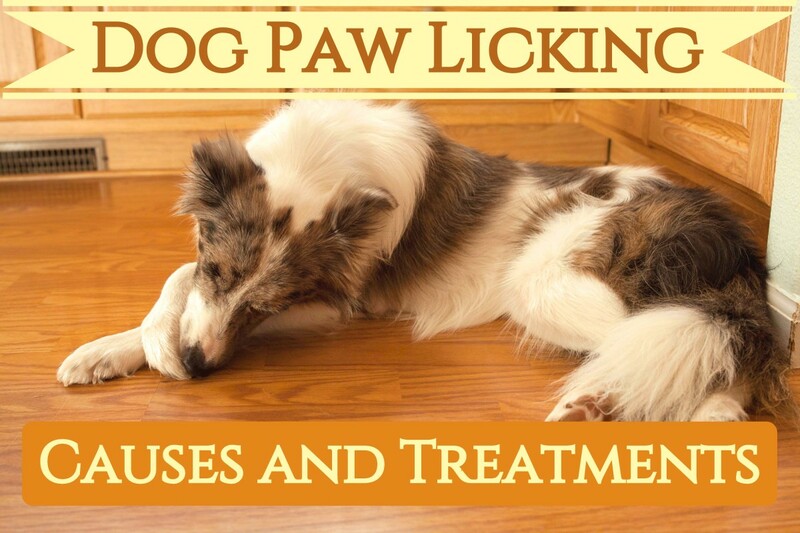 There may be medications or underlying skin issues that your regular vet may have missed. I don't see deafness as a quality of life issue as many dogs are born deaf and do quite well all their lives. It takes a bit of adjustment at first, but most dogs do fairly well. Of course, if there are other issues at play (underlying cancer causing the sleeping and crankiness), then you may want to consider the quality of life with your vet. My girl Scout is fifteen-year-old Australian Shepherd. I was wondering what her quality of life she's having? She tends to stick to the left when she walks, can't do stairs, has problems getting up and down the stairs. She goes around in circles and bumps into everything. She can't walk on my laminate floors, she goes down on all fours and can't get up. She is eating puppy food and drinking water and still knows to let her out. Is she on her way out? A vet visit may be in order here to have a better idea of what may be going on. The symptoms may be due to vestibular disease, and some of these dogs recover, while others keep getting dizziness and nausea and have a permanent head tilt. 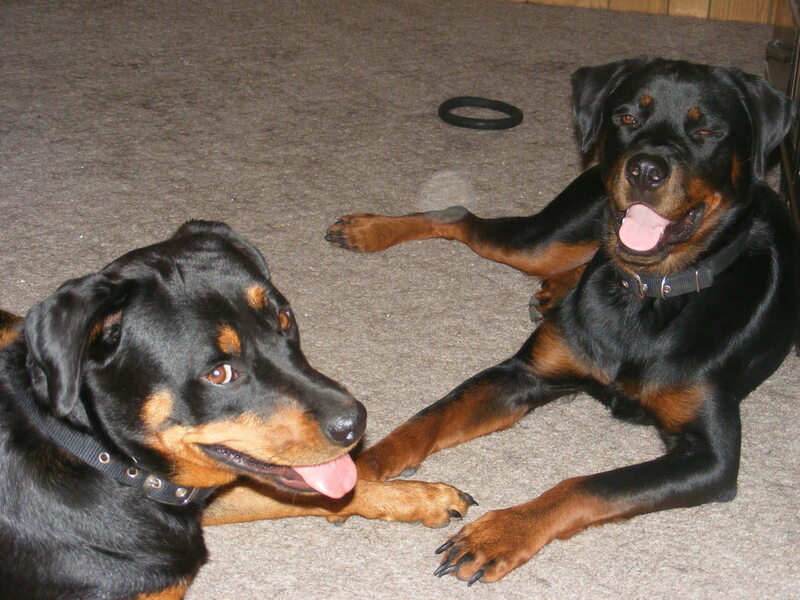 Trouble navigating floors can be helped with the use of to grips or placing rugs or keeping the dog on the carpet only. Some old dogs need assistance getting up from lying down on the floor and doing stairs, and there are special harnesses for this or placing a towel under them may help. So once again, her quality of life depends on what is afflicting her and whether she can respond to therapy. Your vet can help you out on this. My sixteen-year-old cocker is bright, eating, drinking and wagging his tail For the past few weeks, on and off, he is unable to stay upright as his back legs are failing him. He is taking Rimadyl, and was doing well on it, but it's not helping anymore. When do I decide to put him down, as he still seems so happy? If he still seems happy and enjoying life that is a good thing! Usually, we used to advise to put dogs down when the bad days outnumbered the good ones. Of course, this is a personal choice, so owners who know their dog best should decide based on their personal experience with their pet and perception of how much they are still enjoying activities such as eating, being pet and interacting with their owners. You can consult with your vet to see if there are any options for better pain management. There are also mobility harnesses to help old dogs get around. My dog is blind and has become fearful, anxious, no longer plays, sleeps all the time. I have to feed her because she makes no effort. What should I do? Consult with your vet. Do you know why your dog has gone blind in the first place? There could be something medically going on and this can be manageable. A vet visit can clarify several things and help you make the best decision based on the vet's findings. My hound dog mix is 10 years old and she had her paw ripped up. When they did an X-ray it showed that her bone was broken into pieces all the way to her elbow. We can either put her down or amputate but we think she won’t be as free or as happy if we amputate her. What should we do with our dog's wounded foot? If your dog is healthy otherwise and doesn't have arthritis in other legs, there should be no major reason not to amputate. There are many dogs who still lead happy lives albeit being on three legs. 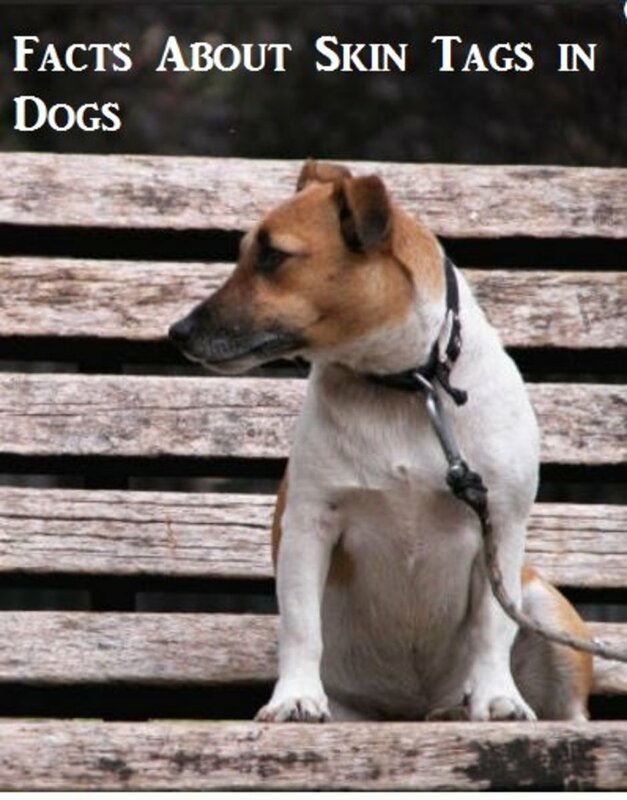 There is a website dedicated to tripod dogs "tripawds.com" where you can gather information. Discuss your concerns with your vet. Our female German Shepherd (about 12-years-old) has hip dysplasia and arthritis. She currently is on daily doses of Deramaxx, gabapentin, and tramadol and every other week she gets an Adequan shot and cold laser therapy. When she goes outside, she takes a few steps before lying down. In recent weeks, she’s had some accidents in the house while sleeping. However, she can have that burst of energy and try to play with her two brothers. Are we getting close to making this tough decision? I think this warrants an evaluation by the vet. Have a physical and some blood work done just to check if her lying down after taking a few steps is due to arthritis or something else. Heart problems can cause dogs to get tired easily and anemia could make suspicious of some internal bleeding such as some bleeding tumor that may cause weakness. If she just has arthritis and still has days where she wants to play, discuss with your vet whether there is anything else that can be done to improve quality of life (acupuncture, dosage adjustments of some meds, mobility harness etc). My eleven-year-old Multi-Pooh has an enlarged heart and a very bad cough. Is there anything to help him? Yes, if your dog is in the final stages of heart failure, there are several things your vet may do to help your dog get more comfortable. Report to the vet the increased coughing, which is usually due to the enlarged heart putting pressure on the bronchi or accumulation of fluids in the lung. Your vet may tell you to make some adjustments to your dog's medications (increase frequency or quantity of diuretics or give a diuretic shot or add other meds to help remove fluids/help the heart work more effectively) and/or add other medications. Never make changes to your dog's meds without consulting with a vet. Of course, these are just palliative measures which may be taken just to make the dog more comfortable temporarily. Don't be afraid to discuss with your vet. No one will ever tell you that its time as long as they can get a few more dollars. I have seen this over and over again. We look to our vets to help us with a tough decision but most won't do it. My dog Scrappy is 16 years old. He's been such a great dog. We are putting his sister down tomorrow and are determining whether we should put him down as well. Sadie is in really bad shape so I know for sure it is her time, but Scrappy I am struggling with. He lost his site about a year ago and has been in diapers for about 4 months. He cannot find his way to the door anymore, but can still manage to find where his food and water is. He sleeps constantly and we have to watch when he does get up so we can take him outside. He just pees right on the side walk. He will walk to the grass to poo but will get lost if we don't bring him back. When I bring him in the house he does wag his tail and gets super excited, but then will look for his bed or our bed. This is all he does. I am super scared to make the decision because he is not in any pain, but I feel like he's just tired and may want to go. Can you please just let me know what you think. I know you cannot make this decision for me, but I would appreciate some feed back. Debbie, only you can really make this decision. You know your dog best. Is she still having quality of life? or is she miserable most of the time? Does she have more bad day than good? Have you exhausted all venues to alleviate the coughing and manage the heart failure? My 13 year old Yorkie is coughing a lot and gagging. We we're told it is congestive heart failure.she has cataracts can't hardly see or hear. Should I have her put down so she won't suffer. It is so sad to even think that the day will come that your favorite and loving friend and Pet will no longer be with you! I lost my brother to complications of Lou Gehrigs Disease, and after his burial, I came home and my 16 year old Maltese Nina, my Princess, has stopped eating, she is not going up to her water bowl, and she has been falling all over the wee wee pad. I started giving her water to keep her hydrated, and also made her some bone broth with Turmeric soup, along with organic goats milk for dogs. She is taking the water and the bone broth warm from the dropper, but will not eat, since I am letting her go at home, and I have taken a sabatical to mourn my brother, since I was also an advocate for him and worked very diligently to support him, Im just very sad! . My Nina is a Great Girl, and I will continue to support her here at home, and keep her hydrated, and prepare a small bowl of her favorite food blended, just in case she miraculously gets up or takes it from my hand feeding. As long as she is not in pain or any discomfort, I will continue to keep her hydrated, and comfortable! Im sorry for all us Doggy Mommys that have to go through this inevitable loss. These animals are our loving companions, and I am going to cry the day she goes! My only consolation is that, I do believe that your animal has a soul, and I do believe she will sit on my brothers lap and will give him company along with the other furry Angels! If the issue is not taking the pills, you may have several options. Have you tried pill pockets? Sometimes compounding pharmacies can turn nasty pills into wondefully tasting treats. There are also liquid medications you can give, for example Metacam which requires a prescription by simply squirting into your dog's mouth of mixing with canned food. I would suggest having a mobile vet come to your home to assess your dog. Sometimes, trouble walking can be due to a slipped disc in the back or vestibular disease, both things that can be managed with rest and medications. Acupuncture has also sometimes proven helpful in some cases. Sometimes, dogs just need help getting up and once up they are mobile, if that's the case, you may need to place a rolled blanket under her to help her get up or use a harness like "help em' u" and help them move out to potty. Of course, these are just ideas. Only your vet can determine what can or cannot be done so follow a vet's directions. My Stuffy is only 8years old and alreadu suffering a lot with arthritis and now is unable to move cant walk or get up she just lays there and urinates on the fllor where she lays. Both back legs and front left leg. what do i do??? She's had arthritis for a while now but she refuses to take her medications we have to force it but than she doesn't swollen it. Katherine, if possible, I think it would be best to delay the move. I am worried sick about my beautiful 11 year old Jack Russell. He has always been fearful of noises, but about 6 weeks ago we were walking down the road and an idiot on a big motor bike sped past us on 2 wheels showing off and it was so loud it terrified my little dog. Since that day I cannot get him to go for a walk, he will not go out of the house. Even in the house if he hears a bike in the distance he has full blown panic attacks, shaking violently, panting, eyes popping and there is nothing I can do to comfort him, he is not interested in treats etc, and it take hours for him to calm down. This is happening daily and I feel his quality of life has changed so much, he used to love his walks until this incident. Now he seems to have no interest in anything. It is like he is expecting loud noise all the time. I have took him to the Vet's, she said physically he is a 100% in very good health, but it is his mental health and severe noise phobia. My maltipoo is 16 yrs old. His right eye started getting gray ,then developing pus and eye is completely gone, i continue cleaning a black crust he gets on that eye every two days. Now his left eye is starting to get gray. His teeth are really bad, their falling off, you can see the tooth itself is okay but the root is like rotten. Ive found two molars on floor. His breath is bad. His breathing is heavy, he has a cough that comes and goes, sometimes i feel he is going to choke on one of his teeth. He wears a diaper , he has little accidents. I put a mens prostate pad for his pee accidents too. But he seems alert. He has started barking more wanting to be near me , next to me, touching me..my question is ,should i euthanize him? I love him SO MUCH,but my sister and son tell me its time to let go. What do you think? I have a blind and deaf 17.5 year old dog. We are moving 10 hours away and have to stay in two different places over the next 6 weeks before we can move into our new house. Tigger has been diagnosed with doggie dementia and now, wears diapers because he is incontinent. He isn't in pain but, all he does is sleep and eat. We have to carry him in and out of the house and up and down stairs. Is it wrong of us to put him through this move when, he will not know where he is and I am sure, he will be even further confused. I am beside myself trying to make the right decision. I would appreciate any advice. My vet can’t figure out what’s wrong with my 12 year old pitbull. He has a swollen hip (right side) with thigh muscle atrophy. X-rays , bloodwork, and biopsy came back normal, antibiotics, steroids, other medications, and $3,000 vet bill didn’t answer any questions. He struggles to stand up and get into his “house”, can’t jump up onto his grassy area, and lays in the same spot all day. I can tell he is in pain when he is motivated to move by treats and loves, still eats and drinks but it’s slowly becoming less and less. The hard part is that he still wags his tail, smooshes his face into us, and comes to baby when she crinkles his treat bag. My heart is so heavy and sad with this decision. He was our first baby, helped me through my 3 years of trying to have a baby, and brought so much joy to our lives. I feel guilty even thinking about this knowing that he is asleep in his backyard. I keep doubting myself, that if I choose to put him to rest that I’m not trying hard enough while he’s still alive. Which is true, we can pay to have him on pain pills, have another surgery to maybe help with his bad leg, get that highly recommended but extremely expensive CAT scan or pay for the speciality needle that might destroy his muscles but help us figure out if it’s cancer. But will he still smoosh his face into us, will he still wag his tail. Do I let him rest while he still has his spirt or do I risk waiting/watching his spirt die trying to keep him alive. Donna, I wish could provide you an answer but it's difficult because only you know your dog best. You may have to keep a log and jolt down the activities she loves along with the things she is still capable of doing (eating, being pet, spending time with you, sleeping comfortably, staying clean). When the bad days where she no longer enjoys such activites outnumber the good, that is often a sign that it may be time. We own a Springer Spaniel who is 15 years old. She is blind and deaf and can barely walk. She walks in circles which I believe I have read that could be dementia. She is skin and bones but eats very well. We keep her in a well ventilated building very close to our house. In the winter we keep a heat lamp and small heater on her and in the summer months we open all the windows, raise the big door which has a extra long doggie gate and leave the side open with another doggie gate and two fans blowing. She has been well taken care of. We can not leave her in the house because she poops and pees everywhere. We have given her a great life. She has been eating and drinking pretty good but now we are having to help her eat by rotating her feed bowl because she can not find the food. M husband is so attached to her and gets very emotional when we talk about what is best for her.....I love her too but I feel like she is miserable. She has never been a barker or vocal dog. What is your opinion as far as putting her down? David, I am so sorry you are going through this. Thank you for the kind words. To answer your question, many people do put dogs to sleep due to old age and its negative repercussions on the body. I have seen many old dogs put to sleep at the vet clinic I worked for. Many dogs still looked OK externally but were literally deteriorating inside. While it is often said that old age is not a disease, it is inevitable for the organs, joints and mind to take a toll from all the wear and tear life has put on them for a very long time. At 17 and a half (that's very, very old for a dog), your dog most likely showed signs of declining at that appointment. I used to work for vets and must say that they rarely if ever made suggestions to put a dog down unless they had a very good reason to suggest that. Maybe the vet noticed something that you weren't told or you were too emotional at that time to understand what they were saying? Maybe when they were evaluating him his heart was very weak, his gums were white or his breathing was labored? These are signs of the inevitable and putting an old dogs through surgery or hospitalization is not really an option to a dog this old. Just thinking about some potential causes for the vet to suggest euthanasia. Your dog was given lots of love and you went through a lot together. Rest assured, you did nothing wrong. Please don't blame yourself. To reach such a mature age, you really cared very well for your dog and he was blessed to have you this many years. I am still not alright after losing my seventeen and a half year old beagle dog exactly a year ago in march 2017. He was put down by euthanasia by a vet that was not my routine vet. I had taken him in as his poo was red and I thought that it was that color because I had fed him a hot dog a day before. Plus also he had took off running a week prior to that day ( my fault too) and his feet while walking were really sore. He was panting like crazy as I felt like he was in such pain . I honestly looked at him that day as I thought it was the end. Once in the vets office they probed him over and said there's nothing else they could do. WHAT? as i think back as I SHOULD OF stopped them there and taken mike out the door with me. It was a rash decision on my part. As later I realized all I had to do was take him and leave and come back later . but I could not think. . But i believed in what they said as they said all there's left do is put him down. I made such a huge mistake by not questioning them as I was a total wreck that day. I am a super sensitive person and I cry all the time of how on that awful day I let go of my dog to be put to sleep. As all the stories I have read since that day of how people have gone thru great lengths and expensive financial means to save their dog. All I can think is the vet did not care and did not want to take their time to suggest medications or what I could have done for my dog MIke that day for he was not ( per say) "sick". It could of been something that they could of done and I am so guilty of not stopping them and I actually can't live with the facts I now am remembering. All I remember is that Mike did not look so great and I feel like I didn't do what I could of possibly done BECAUSE THE VET DID NOT GIVE ME THE TIME TO WORK IT OUT. Since then I have been so depressed and in my mind I have beat my self up tremendously. ITS LIKE i SAY TO THE SELF of my person... I blame me !.... I blame you.! ... Its all your fault ! AND... Its all being said inside the head of one person. Which is Myself ! I truly don"t know what to do. I suppose my question to anyone out there is my dog was seventeen and a half. He usually was always a healthy and beautiful beagle with a great coat and not really any health issues that I knew of . He Did NOT have a terminal disease ( that I knew of ) For I never could afford a regular vet in his older years . The fact is that I never went on line to now see all the information and personal stories of dogs and their owners and also about euthanasia. When Mike was living I never could EVEN think about putting Mike down. It was always an unhappy subject. But I wished I had read up on all of the information as It truly would of helped before hand and at least I would of been in tune with the knowledge and have NOT have just gone with my "heart" thru life as with how it all ended. Ok my dog was pretty old. He was starting to have issues. I know that. His arthritis was getting to be a big issue. And I did not have the knowledge of all the things I actually could have done. BUT. I am financially pretty poor and Mike and I had been living in my car for some time. Luckily it had not always been like that but for myself to heal about this, Im trying to get some feed back but I have to write all this as to let others know the circumstances of what my situation is and was at the time of MIkeys passing. So please bare with me. I am almost done. The question still remains for me as ... 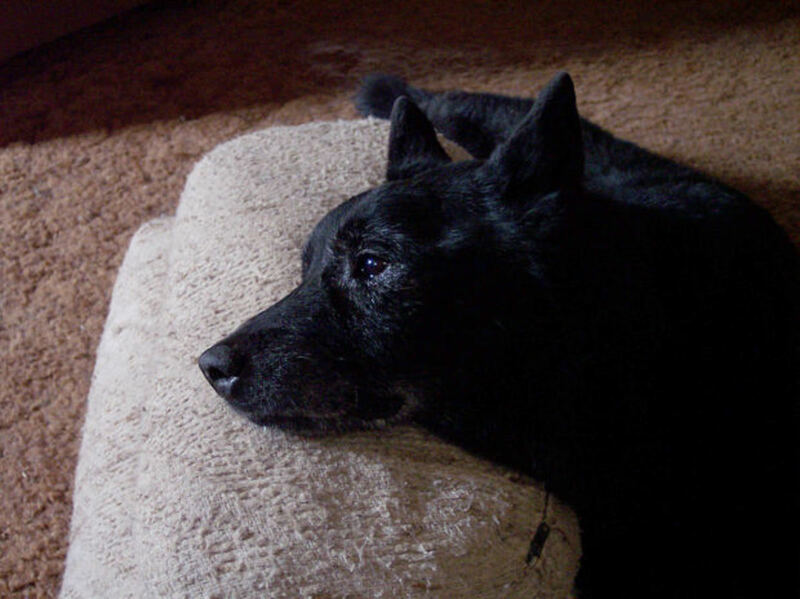 Does any one out there believe that if you know as a loving pet guardian, and you know you have given all the best to your pup throughout seventeen years and that's pretty old, Is it alright as a guardian to believe that my dog Mike had been allowed to pass because of .... Old Age??? AS it sure would be a little easier to me to know that or just to have someone say ....ITS OK.! as when living in the truck, he had his huge quilted comfortable bed back in the back seat which was his space and continuous water. Walks, walks and more walks we went on. He was the absolute love of my life. But as time went on I admit that it was very depressing to know I couldn't do any better as with our living arrangements. I alot of times would look in to MIkeys eyes and he knew how sad I was then too he became so depressed. I always felt so sorry for MIkey because we had to live like we were living. Most rooms apt to share here are NOT AT ALL dog friendly and it kept me from caring correctly for me and MIke and getting a place that I could afford. For after losing my own landscape business and my home a few years ago I never was able ( AND STILL CAN'T) afford an apt. Any way the question still remains and it would sure help for me to know, is old age an ok reason to put down a much loved pet.???? Even though they are not terminally ill ?? For I suppose in the end of all this, maybe my spirit said " OK " MIkes had enough of having to live like this. Thats terrible for me as I cry still every day for him. I miss him so much at times its really too hard to bare. My yorkie can't hear or see very well she loss her parter of 15 yrs he had to be put asleep due to a stroke, she 15 now and all she does is sleep. Keith, sounds like you are in a very difficult situation. You can look for help and see if there are any options to re-home her to trustful home. Is she an old dog? I am not currently worried about my dog's quality of life, I am worried about mine. She gets me to take her outside, then comes in and poops, or pees. It happens every day. I am taking care of my disabled wife, and the dog is stressing me to the limits. I am afraid I will hurt her. I do not want to put her down, are there any alternatives? My 16 and a half yr old border collie was diagnosed with liver disease 3 years ago and was given 2 months to live. But diet and TLC brought her round. I fear we are losing the battle now though. Her liver numbers are on the up again as are her kidney numbers. She is wobbly and not eating well. In the past few months she has had two seizures,. The last one was terrible. I keep thinking 'Now is the time' but then she will surprise me by wanting to play tug with a stick or run (albeit wobbly) after the dog next door. I am now in a no man's land of terrible indecision. It is easy to say 'Better a week too soon than a day too late'. If I had followed that mantra when we were given no hope 3 years ago, she would have missed out on 3 years of quality life. This is the problem. We aren't to know if it is a week, a month, or a year too soon. Or in my case - 3 years. I don't for one minute she has 3 years ahead of her now. But she could have a month, 6 months or more. At what point does the 'now better than later' decision kick in? Especially when they are still showing interest in life. So long to my Golden Daisy. She wants to stick around but the cancer just isn't letting her. 12 years old, had her for 10. Sweet dog. Sweet girl. I'm stuck. My nearly 14 yr old chihuahua Nemo has Cushings disease. His poor body is in bad shape. If you google cushings he has every symptom. His only excitement is eating. About the only reason for him to get up and move. He's urinating in the house and unable to get off the deck to do his other. He doesn't want to be held. I can hear him breathe. I think it's time. He's been my wonderful confidante. I've tried to give him a good doggy life and think he would agree. I wish it could be done for me when it's time. I read a lot of these articles and feel their pain. After reading this, I am afraid I made the wrong decision and the guilt is overwhelming me. Having a hard time with it. Makes me absolutely hate myself, and there is nothing to ease the gut-wrenching sorrow. Love your furry babies while you have them. Each day with them should be cherished. Sounds more like old dog vestibular disease, please see your vet so he can give you ideas on how this can be treated and prognosis. Usually, it's time when there are more bad days than good, but it's ultimately a personal choice. Owners know their dog best and can tell if their dogs are still enjoying life. I wrote about my 15 yr old poodle who has been blind and deaf for the last two years and functioned pretty well. Just before Christmas I think he had a stroke. Legs are weak and his head leans to the right. Daily he has had a seizure and loses his urine at that time. Not eating much but drinks water a couple times a day. I plan on taking him to the vet tomorrow. I feel that it is time to put him to sleep. He was always so full of life even though he is blind and deaf. Am I doing the right thing? This is about my cat but it could apply to a dog as well. I was heartened to see that after reading your article Kasey felt confident in her decision that the time had not come for her dog. Unfortunately I had the opposite pressure to euthanize my cat even though he was still eating, pain was controlled and he was mobil. Because of Dr. Kevin’s defense of a vet in this clinic to refuse to euthanize a pet that appeared healthy I arrived at the clinic with confidence that given the current state of I’m Here Max I would leave with some helpful herbs. My treating vet and I were in agreement that I'm Here Max would have his usual quality of life with the administration of pain medication due to an inoperable cancer which had spread to his jaw. He was never a playful cat during his estimated thirteen years, nor much of a lap cat .He liked to warm himself by the heater and meowed only in the morning when he wanted his wet food. He used the cat litter without urging and his weight had stabilized when medication for hyperthyroidism was started. In short, other than being in the house most of the time rather than being mostly outside and sleeping more due to the pain medication his life was much the same as before cancer of the jaw progressed. I didn't find it a problem to wipe the occasional drool but he started to bleed on the left side of his gum line two days before the appointment I had made with the holistic vet to obtain herbal medication to slow the cancer in his jaw. As I recall when I asked if anything could be done about his bleeding from his jaw by removing the three teeth which had become loose, the vet told me that the cat would lose his teeth on his own so she wouldn't remove them but had good results with jaw removal. I had stated from the beginning that I didn't want jaw removal, radiation or chemo so I'm not sure why the subject was brought up because she did state that this wasn't an option at this point. I had not brought I’m Here Max on a 45 mile trip to discuss Euthanasia. The vet I saw brought up the subject and seemed intent on having me agree that this was the only humane thing to do. Much as I would miss him and that he required no more care than a well cat I bought into the guilt trip that I was being selfish to keep him alive when he had a terminal cancer. That day I was initially relieved that I'm Here Max would be safe from any future suffering due to my "selfish desire" to keep him alive for an estimated 1 month or so. It was less than two hours later that I realized that I had made a decision that was neither good for my cat, I'm Here Max, or for me. I had pain medication on hand and an 24 hour Emergency Clinic within a half hour drive with an indoor cat who NEVER meows so I felt confident he would let me know, if I missed other signs that the time had come. In addition I had him under the care of a vet who supported hospice as a good option for I'm Here Max and me. While others may not have the same support I had, I also had to contend with other opinions that "You're being selfish to keep your cat alive in pain" and "You can't tell when your cat is in pain". I believe that I’m Here Max would be still alive, albeit for not much longer, if I hadn’t made that trip for herbal advice and hadn’t allowed myself to be hooked into a guilt trip that I would cause suffering to my cat if I didn’t comply with what the vet had suggested as the moral thing to do. How would I have liked this appointment to go? Well as I had stated that surgery, chemo and radiation was out and that I wanted a holistic vet to confer with my vet on alternative treatment in the care of my cat with terminal cancer. I would have liked the vet to support my efforts to keep my cat as long as possible until it was obvious to ME and the treating vet that the time had come. I would have liked her to note that I’m Here Max had gained weight, was eating on his own although less at a time and more often, walked from the living room to the litter box in the hall, and was paid attention to and to . My cat wanted nothing more after being examined than to get in his carrier and be safe. Unfortunately I fell for the guilt trip and agreed with the vet, initially greatly relieved to believe I had done the right thing. While sick cats find hiding places healthy cats do too. Euthanasia can NEVER be undone. I would hope that when someone appears at this clinic with a cat that is currently eating, mobile, using the cat litter even if the cat has a terminal illness, that the vet will focus on what the client is here for so that there will be no regrets of ending a pet’s life sooner than it needs to be. This would apply to a dog as well who has a terminal illness. I love your articles. You obviously love animals and they are one of your passions. I do too. I will note that this article my lead people to hang on to their pets longer than they should. Is your dog lying in his body waste? Is he so dehydrated that you may need to inject fluid under the skin? Do you need to force feed your animal so that they get nutrition and eat? I have an old dog myself. He is about fourteen. He has swollen gums on each side athisvery back bottom teeth. I'm sure thats painful and I have to have them removed. Its very costly. Until then I've been giving him antibiotic occasionally to keep infection out and pain down. My dog also has arthritis. But after reading this article I definitely know that it's not time for him. One man commented on here that he couldn't love without his dog. That was sad for him and the dog. If your dog seems more unhappy and Not energetic then more than likely it's time. Poor Paisley, it's so sad when our dogs age and start getting sick! Sending you positive thoughts and strenght. This is the toughest decision most of us dog owners must make at one time or another. I am glad to hear this article at least helped you out. My loyal companion 10 yr old Great Pyrenees has been diagnosed with multiple tumors on neck hip and abdomen. Surgery would only be exploritive; considering his age. I also was given euthenasia as a peaceful alternative. I have bawled and begged others for advice. Ultimately I googled my concerns and found this page. Can't say thank you enough. I felt selfish for wanting to prolong his time with me. He has had more good days than bad. He has been barking and wagging his tail more than not, so I am going to hold on a little longer. I pray we will reunite past the rainbow bridge. He is my best friend and has shown me more love than any human. Thank you again. What a wonderful age your beloved Pookie has reached! Cherish all those wonderful memories. So sorry you must go through this. Sounds like you enjoyed a wonderful time together. my pookie is 16.5 yrs old he was diagnosed with canine dementia hes blind,can't stand to eliminate falls over in stool and lays in it, bloody stools,so difficult to come this decision never had a dog i have 2 bicheons and pookie is my boy! He will be going to rainbow heaven tommorrow he has left paw prints on my heart forever! My heart goes out to you during this difficult time. I too believe that once our pets separate from their ailed, old physical bodies, they can finally live pain free and watch us from the above. I too wanted to thank you for the article on euthanasia. We had to put lu lu down. She was thirteen diabetic needing two injections a day she hated it. She then became blind and really never adjusted to it. We have cried until our eyes burn. I am sure that there is a heaven for special dogs and finally she can see. I think it's just never a good time for us, we want our dogs to live long and never leave us. It's sad their lives are so short. I can't recall a time I was ever satisfied of the time frame of the passing of my pets. I always wanted more. Please, another week, please another day, please more hours. It's the biggest downside of owning pets, but we must also cherish all and joy they filled our lives for many years and for this we will be eternally grateful. My Sheltie is nearly 16. He has been the best dog we have ever had. He cannot see or hear anymore but he is still eating and sometimes runs around like a puppy. It's not time yet, but I fear it will come sooner than I want it to. The article was very good. Suzanne, it's never easy. I am sorry Dukey is going through this. Doing searches to help confirm my decision for my almost 15 year old Golden Retriever Dukey. He can't get up, he can't walk. I raise his back end to help him walk and relieve himself.. its becoming too hard. Since he can't get up and walk around the house, he just lies in one spot all day, nearly 24 hours.. but with not a lot of cash to spend ... hoping I can find a vet who can facilitate. Thank you for this article and for the dozens of comments. Putting down a dog is never easy. Please don't feel guilty. If it makes you feel better, please keep in mind that vocalizations are normal and respiratory gasps may take place a minute or two after the loss of consciousness. This is not evidence of pain in the dog or consciousness, it's only a physiological response occurring when the brain is deprived of circulation. I have been crying the whole time I've read all the comments its been hard reading due to i cant see with all the tears welling up in my eyes.It has been 6 month since i put my best and loyal pug tubby down . he was 11 and a half . He had terrible allergies that caused his body to rash into scabs on his belly and neck . he had to eat special food and was on alot of expencive meds.he began to have tumor growths on his legs. when he was three months old he was very lethargic . I took him to a drs appointment i was told by two different vet hospital drs that tubby would have a very short life 3 weeks to 3 months was his life span. i was told i could take him to WSU and the doctors there may be able to help him . he had a shunt his body was basically poisioning itself. I was told no guarantees to save his life and if he only had one shunt he would fine but if they found more no promises . the surgery was done and only one shunt . his quality of life was extended . I was so happy i cried even after the surgery when everything was good. during the time i put my tubby down i went threw a divorce of 24 years i had to sell my dream home and my dog was not going to adjust to a move his eyes were going bad and he always had free rain in the house and yard .his last month he would always feel his way around . and slept a bit more . he still had a spark of life in him but as my life was going i just knew he would not be able to adjust in hotels after the house sold . i decided to give him piece and put him down .I have regrets of putting him down when i did he let out the saddest sigh ever like awww no . It haunts me! My daughter was with me and says it also bothers her she said she watched his face and the memories of it are awful . we are both christian and continue to pray however whenever we speak of him we both cry. i feel like i should be over some of the grieving process but i am not . I feel so guilty and i miss him so much . i was a stay home mom for the most part of 24 years and tubby followed me every where and i mean ever where . I lost my best friend to lung cancer. She was 14 and 9 mos. I had all tests done to confirm the cancer before she rested peacefully. She will forever be in my heart and i feel like all my memories of her are good ones. Please you know your dog. If they are not feeling well act quickly. Cancer acts quickly once there is symptoms. Don't let your animal suffer. i had to go to another vet hospital to get her quicker tests. i was not willing to let her wait. She was not eating an couldve starved to death had I waited for these doctors. Within one week of her first cough and knowing she had this horrible illness I gave her peace and i will see my best friend again one day!! What a wonderful dog and what a wonderful life you have given this boy! I just had to put my 11 years old Cocker spaniel to sleep. She was suffering from a liver disease. She was under all kind of antibiotics for two weeks. Her liver was torn apart form the disease and antibiotics. I don't even know how to start tomorrow. I always started my day with greeting her and taking her out for a walk. Everywhere I go is a memory. God help me through these nights. Is there a heaven for dogs? I certainly hope so. You know, She and her memories were part of my life on this earth. Now that she is gone, part of my life is gone.What happened to that now missing part of my life? Today is one of the saddest days of my life. Chelsea, my shepard mix can't stand any more. Her back legs won't hold her up and there is sadness in her eyes. Arthritis and 15 years have taken a toll on her. She's a fiesty one with mind of her own. All she really wanted was love and understanding. I'm not degrading her 1st 3 owners, but maybe a kinder hand would have made her a different dog. When she growled at me I would put my arms around her neck and my head next to hers and hug her and told her how much I loved her. I became her "Mom" when my mom needed back surgery in 2006. Mom adopted her in 8/2003 and my mom didn't want her to go back to the shelter (Chelsea had spent too many days and nights there)so she became my second "girl". She became Holly's best friend. Holly is my shepard mix. Holly was younger (only about 15 mons) bigger and had a lot more energy than Chelsea. Chelsea got a concussion because Holly tried to play too roughly. But Holly always looked out for Chelsea. If Chelsea wandered too far in the yard, Holly would be right nest to her. At the vet's, Holly would check Chelsea after the vet was done to make sure that she was OK. This is my tribute to my "Cupcake". She will meet my other "loves" at the rainbow bridge. Spike and Kazooty and K.C., Scruffy and Pumpkin(Chelsea was never fond of cats, but I know they will all get along in heaven)will romp and play together and exchange stories of their lives with me. Chelsea I love you and will miss your dog dance to distract Holly so you could steal her treat. The last 5 1/2 years of my life have been better because of you. Chase those deer and lay in the sun. I love you. So sorry your Sheba is going through all this. I know it is overwhelming, and having worked for a vet, I have seen the toughest looking guys break down because it hurts, and our dogs bring out all our emotions because they accept as for who we are and we have no fear showing our true emotions to them. If you are considering putting her to sleep, consider that some vets may also come to your home for the procedure. Many vets recommend bringing the other dog so he/she can accept death and sniff it, rather than carrying on looking for their faithful companion around the house. Ask your vet on their policies about bringing other pets. It is tough, one of the toughest decisions most dog owners make but unfortunately, one that eventually all dog owners will have to make at one point or another. Rebecca, I am so sorry, I really cannot give you advice on this. It is ultimately something you will have to decide. All I can say is that many owners claim their dogs gave them ''signs'' that they were ready to go. Our beautiful 13 year old shih tzu Rocky , has become totally blind and we believed also kind of deaf, and is constantly barking. He had some kidney disease that was property treated. We are doing everything recommended to try to ease his blindness. His appetite is very good and he wiggle his tail when he hears our voice but will not follow any order. We use several commands but shih tzu are rather cuter than intelligent and most of the time it takes forever for them to learn a command. I had to put down my Rhodesian Ridgeback who had a brain tumour.I knew his time had come because he was so lethargic and didn't even want to go on his beloved walks anymore.i cried.what a beautiful breed of dog in appeearance and personality. Our 20 year old pappion seems ready to be at the end of her life. The articles have been very helpful. Now we have to make the decision that will be so painful. Little Angel is a rescue dog we got when she was 8 years old. She was terribly abused and looked like a drowned rat. Her companion, Ginger was 6 mo. old, when we got Angel,but we had to put Ginger down in Feb of this year at the age of 12. Angel has never been the same. We will give her all the love and attention right up to her last day. Alexdry - thank you for this and your other articles on euthanasia. I have been through this once before with our beloved black Labrador "Snowy" who lasted til a ripe old age of 17. I have been haunted with the feeling that perhaps we 'called it' a little too soon. While she was not really moving from her bed, she still had a 'spark'. Now, though, my 15 year old big Bichon Frise "Lucky" has his spine giving in. He is on steroid anti-inflam and I am praying he will respond over the next week. If not, I know the decision is coming thick and very fast. Your advice: "they will tell you when they are ready" is so helpful. I think I know the look. I will wait for him to tell me. To all pet owners on the forum agonising over this moment - bless you all for caring. Your pets have had a charmed and loved life. Remember that, rather than their last moments. I have just finished reading all the comments about people having to put their beloved dogs done.iI to have a wonderful little dog name Brucie.He is a dandy dinmont terrier.He's 14 yrs. old and has cancer of the lung,bladder stones,diabetes and has lost his eye sight.the vet calls him a miracle dog.he is not eating well and is depressed.Reading all of the little stories about every one else and their little guys and girls has made me realize that the time is getting very close.I to have prayed and ask father God to take my little guy so i don't have to make that decision,but i know that i will know when the time is right after reading all the other comments.And I know how hard that decision will be.thanks to all of you. I had to make the most heart breaking appointment today and I'm in tears as I type this. Our 13 yr old pug, Winston, will be put down on Friday at 4;30 P.M. He has been in failing health and is diabetic, he has numerous tumors & no bladder or bowel control. His hearing and eyesight are gone and his joints have knots on them from arthritis that makes it difficult for him to walk. I know that to prolong his life & the misery he is in is selfish. After reading all the grief that others are feeling and after actually listing all the things Winston has to deal with, I have come to a peaceful conclusion that what I must do is right. Thank you for making the information in your article available. Thank you for giving people the opportunity to write about their grief and being able to share it with others. My husband and I put our 81/2 year old blue nose Mystique to sleep yesterday.I'm having a hard time with guilt.She had a rare pancreas cancer,had surgery but it didn't work.We had her in predison and it help but also made it hard.We feed and gave her sugar shots to help with her glucose every two hours.Kept her comfy. Hayley our Golden Retriever has been with us for 13.5 years and was diagnosed with cancer 4 months ago. She has been a beautiful and loyal friend to us, our other dogs, cats, kids and grandkids. Tomorrow we will let her go. We know she will be a doggie angel waiting for us on the Rainbow Bridge. We only hope that we are worthy. Going to miss you sweetie! It is extremely difficult to come to terms with a dog getting close to the end. Try to cherish the most you can these days, and when he is gone, be fond of his memories. Remember dogs live in the moment, so try to live your days with him to the fullest. Best wishes. "A dog has no use for fancy cars or big homes or designer clothes. Status symbol means nothing to him. A waterlogged stick will do just fine. A dog judges others not by their color or creed or class but by who they are inside. 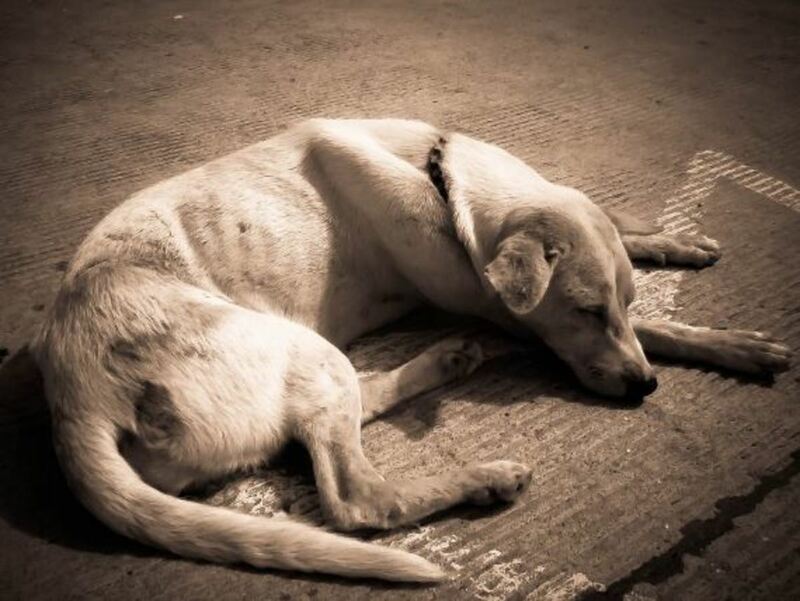 A dog doesn't care if you are rich or poor, educated or illiterate, clever or dull. Give him your heart and he will give you his." I have been through quite a lot in the last couple of years, I've lost people close to me. But nothing will prepare me for losing Ferdi. Thank you so much for the sensitive, insightful article; it helped me regain my rationality at a time when my heart seems to be dictating everything. After months of putting it off, I'm putting my puppy boy to sleep tomorrow. He's 12 with hip dysplasia and seizures. I still remember the day I found him whimpering on my doorstep, abandoned. We clicked right away, and I was the only person he ever really trusted. I still can't believe I'm doing this, but to prolong his suffering is wholly selfish of me. All the thoughtful comments are reassuring me that I'm doing the right thing. Thank you from the bottom of my heart. We always recommended to have somebody accompany for euthanasia appointments, any way you can have a friend come with you? I am sure your dog will not be angry with you, she will leave this world peacefully and finally leave the pain behind. She had a long life with you, cherish her memories, sending a virtual hug. I too have had to make this very difficult decision. I just hope it's the right one at this time. My 12 yr old beagle was dx w/kidney failure this week. Her blood results are all very high. She won't eat and seems depressed. She sleeps more and is incontinent, I can live w/ that but not sure I can w/out her. I will be taking her to the vet this morning-by myself and don't know if I can go thru w/it. Just had to do the same w/my cat 6 months ago. She had a tumor in her neck that spread into her mouth and eventually effected her eye-there was no other choice-was very sudden. I am struggling w/the fact that I will not see my beagle's big brown eyes and switching tail as I arrive home from work everyday. I hope she will not be angry w/me as I hope I am making the right decision for her. I dread the look I will get from her as she enters her eternal sleep. Thankyou so much for this article. I had to put my dog Mitch down tonite. He has been such a loyal friend for the last 14 years. Unfortunately in the last few years he has gone deaf and started having seizures, where he would lose control of his legs and become severely disoriented. They would normally only last 2-3 minutes. The vet checked him over and apart from that he was in great condition. Last week he had a ten minute seizure and it took him a while to come right. The vet did warn us that most likely the seizures would become more frequent and longer. Tonite he had one that lasted nearly 30 minutes and during the seizure he also vomitted, urinated and deficated on himself. My wife and I discussed it and as much as I hated having to make the decision, I hated the thought even more of my best friend having one of these terrible seizures when we weren't around to help him. The vet was wonderful. I was a blubbering mess as I held him, thanked him for being such a wonderful friend and said goodbye as the vet administered the injection. He went to sleep peacefully in my arms. I will miss him and love him the rest of my days and I hope he is somewhere running around madly like he used to with his wonderful smile. Thankyou again for this article. It gave me some assurance that as hard as it was to do it, it was the right thing to do. After reading this article, my husband and I decided that it's finally time to put down our dear, sweet whippet, Alpha. He's been in renal failure for more than a year. He was doing pretty well until a few months ago when he began a steady decline. After reading this, I realized he can't much of anything that he once enjoyed. He can't dig in the garbage when we're out, he can't take walks, he can't jump on the couch...he can't even snuggle up with us as he doesn't have the strength or energy to move very much. I wake up in the night to check on him and turn him so that he doesn't get uncomfortable lying on one side for two long. I could barely speak when we called the vet, but we finally made an appointment for the day after tomorrow. I'm just sitting with him and petting him, and hope he knows how much we love him. I don't know what to do. My 14 year old Border Collie was supposed to be healthy. She was at the vet a couple of months ago, blood and xray's came back perfectly healthy. She's gotten a little slower in old age, which is normal. But this week we've been sleeping in the living room so she doesn't have to go upstairs because she's almost fallen down them a couple of times. As the week has gone by she's been getting worse. First her front legs were weak and then she wouldn't eat when she's always had a huge appetite and now she can't stand up by herself and her back legs are very weak. She always looks exhausted. What I'm having trouble dealing with is that she's still alert, her eyes are clear and she's still drinking a lot of water. How am I supposed to take her to be put to sleep when she's looking at me like why did you bring me here? Her quality of life isn't good, she can't do anything she loved. She can't even stand up by herself and she can barely walk but her in her eyes she's still there. Sorry, this is something only you can ultimately decide, to make a rational decision read my article above in its entirety and follow the link to the scale for getting an idea of her quality of life. The worst feeling, yet we want to spare them from pain and further suffering.. sorry to hear about your friend, RIP Maxi, sending you a virtual hug. feeling.. I know it's time, he has more bad than good days now. He is 15, I just can't imagine not seeing his beautiful face every day.. I am a blubbering mess.. Don't no how I am going to go at the vets.. I want to b with him though . He's been there for me!! I am just watching him now have a peaceful rest in the air con.. I am also facing this decision and don't want to face the decision. I too am praying for him to die naturally. My 14 yr old labrador's legs have given in completely now but his heart and mind are strong. We have been waiting for him to tell us the time is right but still he's bright and keen to be with us, wagging his tail at us. He has started barking now to ask for help getting up and the past few nights this has happened in the early hours of the morning. My husband and I vary from feelings of uncertainty to thinking now is definitely the right time but can't seem to make the appointment. I keep thinking of my children and how they would react. Really I need someone to tell us what to do. This is the hardest, most painful decision ever. I love him so much. I can ever do this again. Lulu, generally, it is up to the owner to figure out when that time comes. Often it is when dogs have more bad days than good and are living poorly and do no longer show signs of being interested in life. It is a terrible choice to make and often the most difficult, sending best wishes your way. i find myself here needing some reassuring, when do i do the thing that i know is inevetitable, what about my other dog who's heart will break when her life long friend is gone? we put our collie retriever mix to sleep 15 years ago. still painful to think about. I have read all the articles above and it still has not sunk in. I have a 17 year old poodle who is now blind and deaf. She still is active, runs and gallops, but we have to pick her up and take her down the stairs so she won't fall, she always lets me know when it is her snack time, breakfast and supper time. Sometimes she wonders around the dining room and living room. My husband thinks she should be put down, I know in my heart she should be put down, but I do not know if I can let her go. I have had to put two of my other poodles down, but one had liver cancer and the other one had a stroke, it was totally different. This time my dog is still eating, drinking, running, she just can't see or hear. Is it time????? This was truly a wonderful article. I had been through this situation with one of my dogs that we had for many many years and all of the things you mentioned, my husband and I had gone through for a long time with our dog. That was our main concern, his quality of life, and we realized that with the way he was he would eventually let us know when it was time. He definitely did that and we had a vet come to our house to put him to sleep. It was the hardest thing to do but because we knew it was his time, it was also a relief to know we were able to help him in that way. He was ready and after all the years of happiness we shared, this was our final gift to him. You do have to accept this is going to happen, that's how life is, but you do not have to make this decision tomorrow. Try to enjoy your days with your dog to the fullest, she will let you know when her time has come. I have had my pomeranian since she was six weeks old. She is now thirteen, and cannot hear, and is slowing down. I have to make this decision and it is tearing me apart. I know in my mind it has to be done, but my heart won't let me. Today I made the most difficult decision of my life, letting Annie,our Golden Retriever of 14 years go. I came on here looking for confirmation of the decision that was so hard to make and realize it was time, still not easy by far, but her joy for life was gone. My heart breaks for all of you who have to make this decision. Annie will be in our hearts forever. Jasmine, our 16 and 1/2 year old golden lab is not doing very well. We have been facing what all of the other posts have been facing, and I think the time has come. This article has helped me realise that this is that middle ground time, it is not too soon, but we have not let it go so far we are being cruel. Jasmine has been with us through the birth of our kids, their growth, and I feel like we are losing a family member. It just seems so wrong that we have to make a decision on when her time ends. I too am currently facing this heartbreaking decision with my 12 year old long haired chihuahua. I very much appreciate the information provided in this article. I am so scared at the thought of losing him, however, he has struggled with congestive heart failure for over 6 years and I feel that it is time to let him go. I am so sad and afraid for him and the thought of losing him is one of the scariest things I have ever dealt with in my life. Please think of my "little man"...Leroy Brown, my best and most amazing friend! I, too, am faced with this decision for a 16-year old Aussie named Hannah - the love of my life! She has been the best dog and friend ever and I can't imagine my life without her. She is ailed with arthritis and slow to get up. Her eyes are telling me she is "tired" and ready for heaven! She can no longer go on walks, play at the beach nor does she respond to my voice. She will live in my heart forever! My husband and I are dealing with this decision right now. Our 11 1/2 year old Australian Shepard has been an amazing dog. My husband has had him since he was a puppy, and he was only 18. This decision is so hard, and I am trying to be supportive and let my husband make the ultimate decision, but I also won't let our dog suffer. He still shows so much love and joy when he sees us, but his arthritis and wimpering through the night is unbearable. I loved the advice someone put about picking two out of four things your dog loves to help you make the decision. Our dog loves to play at the beach which he can no longer do and go on walks...he stops after tinkling and refuses to walk any further. I think it is time. This is hardest decision we have ever had to make.